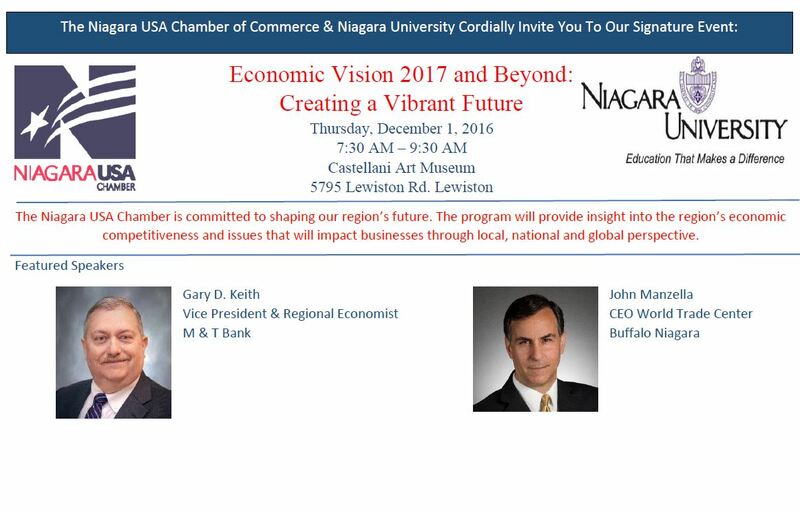 The Niagara USA Chamber is committed to shaping our region’s future. The program will provide insight into the regions economic competitiveness and issues that will impact businesses, through local, national and global perspective. What are the national trends & what is the outlook for 2017? Is Niagara County Winning or losing with regard to regional performance?